Many home improvement projects create dust and debris that can affect indoor air quality (IAQ). In this blog, V. Nanfito Roofing & Siding, Inc. recommends best practices to follow during your remodeling project to ensure good IAQ. Provide Adequate Ventilation — Regardless of the type and scope of the project, adequate ventilation is important. It “dilutes” indoor air pollutants, including vapors from paint and other similar substances. Use exhaust ventilation to direct airflow out a window. A box fan or something similar is enough for this purpose. Keep the number of openings to just two: the window where the fan is located will be the exhaust vent, while another open window serves as the intake vent. If your remodeling project involves removing the door in the room, cover it with poly sheeting. Old Homes: Keep Lead-Based Paint in Mind — If your home was built before 1978, assume that lead-based paint was used on it. If this is the case, you will be advised by your general contractor to keep the kids away from the work areas. You may need to have them stay somewhere else until the remodeling project is over. Do Not Disturb Asbestos — Another hazardous material that may be present in old houses is asbestos. If your home happens to have such components, let your contractor know as early as possible. Avoid Exposure to Mold and Bacteria — Mold and bacteria thrive in warm and moist environments such as attics and under sink cabinets. Address indoor moisture and humidity issues by looking out for things that hold excess moisture. Dry out wet carpeting, or replace it if damaged, and address leaky plumbing. Clean mold using water and detergent. Make sure all surfaces are completely dry. Store and Dispose of Materials Appropriately — Designate an area where you can store supplies that may affect indoor air quality, such as paint, adhesives and cleaning solutions. This area should be in the open air if possible, or at least away from HVAC vents and returns. Follow appropriate waste disposal methods, especially for materials that contain lead, mercury and asbestos. 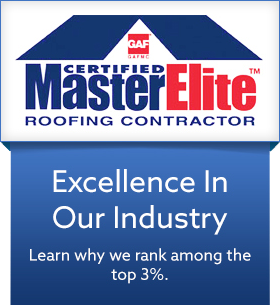 V. Nanfito Roofing & Siding, Inc. is your number one provider of roof maintenance, repair and installation services. Give us a call at (203) 639-1634 or fill out our contact form.